Believe it or not, summer is right around the corner. Have you planned your summer adventures yet? Check out these helpful products to help you and your family stay safe (and have fun) this summer! Baby Banz Sunscreen Lotion Spray — Baby Banz has made it easier than ever to protect your little one’s skin from the harmful rays of the sun. They have created an amazing sunscreen perfect for young ones ranging from crawling toddlers to growing teens! The sunscreen is formulated with SPF 50 UVA/UVB protection and is PABA free for peace of mind! Simply point and press and the convenient spray emits a continuous, angled spray for maximum coverage. It’s never too early to establish good skin care habits! Baby B’Air — The FAA-approved Baby B’Air Flight Vest is a safe solution for lap-held children while traveling in an airplane. The Baby B’Air is the perfect solution for all babies, securing them safely to their parent so that both the baby and parent are comfortable and there is no squirming or potential for baby falling. The Baby B’Air is worn by the infant like a vest. Constructed of 100% cotton and comfortable to wear for baby, the Baby B’Air is used by simply connecting it to the seat belt of the adult. The baby can then be held, fed, and even changed while both parent and child remain securely fastened in their seat. For more information, visit babybair.com. Puddle Jumper Life Jackets — The fun lasts longer for kids in the water with a Stearns® Puddle Jumper® Life Jacket. The comfortable design allows children 30 to 50 lbs. to move and swim freely in pools and lakes and at the beach, without the life jacket riding up around their necks. Each PFD is Coast Guard-approved and can be used as a learn-to-swim aid. They come in lots of different colors and styles. What are your family’s must-have summer products? Did you know that more than 100 million Americans go to the emergency room every year? Maybe you’ve been there even recently with a sick or injured child and can relate to this information firsthand. While most of us visit the ER only for true emergencies, others use the ER for conditions which may be better resolved by a local urgent care walk-in center. Common visits to the ER include stomach and abdominal pain, step throat, seasonal allergies, flu, fever, headache, and back pain. All of which are easily treated at an urgent care center and for a time and cost significantly less than the ER. I don’t know about you, but I love the idea of saving time and money! A visit to the emergency room can cost up to five times more than a visit to an urgent-care center. Emergency-room treatment for non-emergency medical conditions is a major contributor to the rising cost of health care. It also ties up ER staff members, who spend valuable time treating non-critical cases, such as skin rashes and ear infections, rather than treating life-threatening conditions. Want the numbers? The average wait time at the ER is 55 minutes versus 12 minutes for walk-in center. The average copay for ER is $125 versus $25 for a walk-in center. Urgent care centers are popping up all over the United States, giving you lots of options, such as 203-Urgent Care, in the Connecticut area. 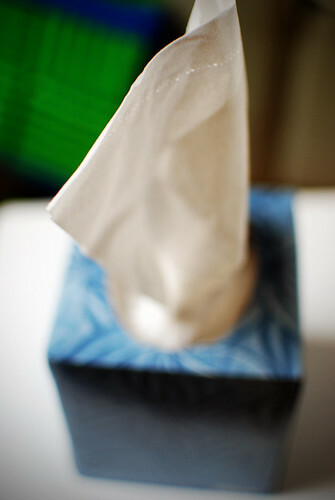 Have you saved time and money by visiting an urgent care center near you? Tell us about your experience. Your experience could be helpful to other parents! The bright and colorful leaves of this plant may tempt little ones to take a taste. Display this beauties high on shelves or outdoors out of reach. Contrary to popular belief, they are not actually poisonous to children. However, contact with their milky substance can cause a mild, itchy rase. And, if the leaves or steams are eaten, the child may have nausea or diarrhea. Diaper rashes can occur when a wet or soiled diaper is left on too long. When changing a soiled diaper make sure to clean in the skin folds where stool can get trapped. If a diaper rash develops use an ointment containing petroleum jelly or zinc oxide which will also help provide a protective barrier against further irritation from more moisture. If the rash is not getting better in two days you may want to talk with your child’s doctor. Other warning signs that should prompt medical attention include redness spreading up the abdomen or down the legs, pus-filled blisters, increasing fussiness, or fever. We hope you enjoy this great banana bread recipe! ½ c. chopped pecans or walnuts. Stir dry ingredients together. Mix in eggs, oil, and milk. Then stir in banana and nuts until just blended. Bake 350 for 1 hr. (less for muffin tins). Celebrate the season with this yummy recipe for Pumpkin Bread! And make sure to check back tomorrow for a great banana bread recipe! Makes 3 small aluminum pan loaves. The art of homemade popcorn is one that has fled with the simplicity of microwave popcorn. I remember fondly my mom popping kernels on the stovetop, then turning them into wonderful caramel corn in the oven. But from about middle school onward (and that was, oh, 20 years ago now), I don’t remember even having popcorn that wasn’t from a microwaved bag or the movie theater. When I started being a little more aware of what we were putting into our bodies, however, I decided to bring stovetop popcorn back into my life. (Did you know there are PFCs in the lining of a microwaved popcorn bag, and one of the chemicals in the butter flavoring has been linked to Alzheimer’s?) This way you can control your own ingredients, not to mention change the toppings to your liking! And it’s a great snack to make with kids. 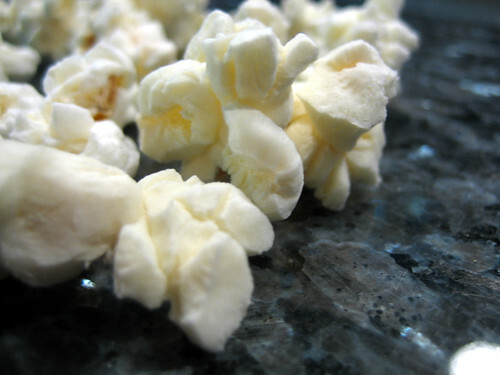 Popcorn is a whole grain and has a lot of fiber, making it a healthy snack that seems indulgent. Here’s the recipe and then we’ll talk about how your kids can help! optional toppings: salt, melted butter, Parmesan cheese, cinnamon, etc. Put oil in stockpot and heat over medium on the stove. When the oil is melted (if it’s a solid like coconut oil) or warm, add popcorn kernels. Cover stockpot with a layer of aluminum foil. Use a sharp knife to cut a few slits in the foil to let steam escape. Shake the pot every few minutes until kernels start to pop. While it’s popping, shake continuously. When pops are 4-5 seconds apart, remove from heat. We like to sprinkle our popcorn with salt and then drizzle with a couple tablespoons of melted butter. For an even healthier snack, try a pinch of salt and a good sprinkle of nutritional yeast, which is full of B vitamins. (If you’re nursing, it’s also a galactagogue, increasing milk production!) Parmesan cheese is also tasty and is salty enough by itself usually. My 4-year-old daughter will pour kernels into the pot and then help with toppings once the popcorn is cooked. An older child can do pretty much all of this by him or herself depending on his skill with the stove. So pop some corn, pop in a movie, and your kids will think you’re pretty much the best parent ever. Do you make popcorn at home?